The monsoons have been knocking at our doors for a while now, and the past two weeks have shown us that they're a force to be reckoned with. Added to that are its umpteen allies - Traffic snarls, waterlogging, delayed trains and gloom. 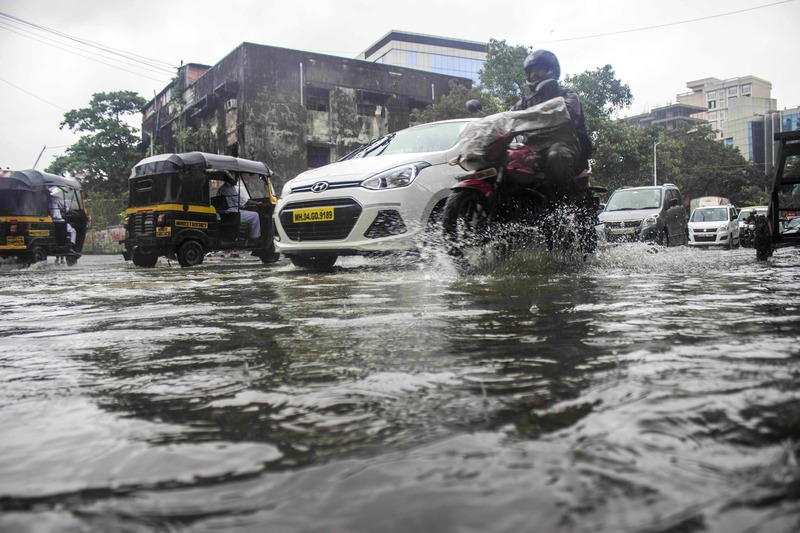 Intermittent rains have continued to strike the city since the weekend, leading to heavy rainfall and waterlogging in most parts of the city. If you're trying to cope with the bad weather, and you need help, we're right here. Right from what to expect with traffic to what to order in – we like to be prepared. There’s no point in visiting multiple websites for information. So, read this. In last 24 hours till 8:30 AM today, Mumbai city has received 165.8 mm of rain while Mumbai suburbs have received 184.3 mm of rain, according to this report. Heavy traffic has been reported from Western Express Highway near Sahar and Santacruz airports. There has been a lot of water-logging was reported in several low-lying areas like Dadar, Parel, Sion, Matunga, Andheri & Ghatkopar. There's a flood-like situation in the far-flung areas like Thane, Vasai and Nalasopara. Places in town like Worli, Breach Candy and even Colaba have water-logging issues. For live traffic updates, follow Mumbai Police’s Twitter handle here. Due to heavy rains in the city, local train services between Vasai and Virar have been suspended until further notice, the Western Railways authorities announced on Twitter. Services of the AC Local have been suspended today, according to this report. Trains running from Churchgate to Vasai are also experiencing a delay, the Western Railways authorities announced. Visuals from across the city show extreme water-logging on roads and rail tracks, so we recommend you don't step out unless you fancy a long swim. Follow Western Railway and Central Railway for updates here. You can also reach out to Mumbai Police’s Twitter handle here. Mumbai Dabbawallas have announced that they will not be carrying out their delivery services today, causing havoc for many Mumbaikars across the city. Read this report for more details. Mumbai Pune Expressway is a bad idea today, due to heavy traffic and other related dangers to the highway. If your car has broken down, here’s a list of roadside assistance portals that can help you. And if you are having monsoon troubles at home, here’s a guide to monsoon proofing your home. Also, if you’re stuck at home or have decided to work from home, call in these wine shops that deliver and bring a card machine home. And to add to the charm of the monsoons is this Twitter handle – Mumbai Weather – who is a weather enthusiast and not a part of any organisation, but still so accurate! If you're short on supplies, head to the stores nearest to you and stock up on food & other necessities. We're doing it right now!